A stylish and fashionable design, the Woburn is available in 3 sizes. A classical show piece is simple in design yet rich in looks. Please note: This is a two piece handcrafted bath, there may be a visible line on close inspection. 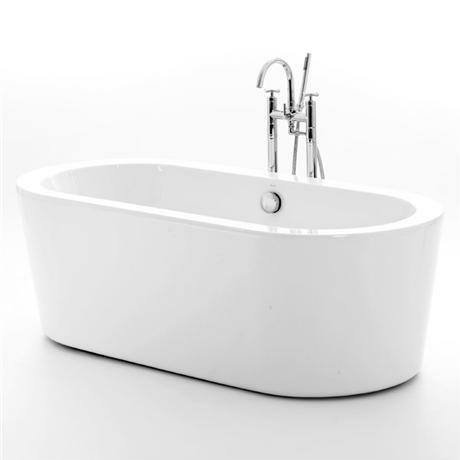 Hi, we don't have a precise weight for the Royce Morgan Woburn Luxury Freestanding Bath but it is approximately 50kg. Hope this helps. Q. Is this bath in one piece or is it two piece?